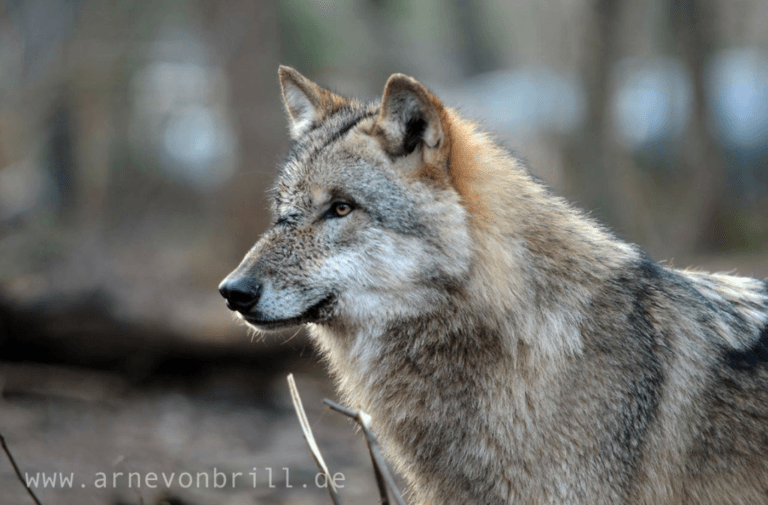 The shooting of the Profanity Pack last year and now a kill order for the Smackout Pack in Northeast Washington clearly demonstrated the failure of the current strategy of many conservation groups who are involved in wolf recovery efforts. In this case, a number of organizations, including Wolf Haven International, Conservation Northwest, Defenders of Wildlife, and the Humane Society had joined the Wolf Advisory Group or WAG, a collaborative group that worked with the state of Washington as well as other “stake holders” (read ranchers) to produce a wolf recovery strategy. The plan, among other components, calls for the lethal removal of depredating wolves. This applies to both public and private lands. Therein lies the rub. Who should have priority on public lands? Public wildlife or private livestock? I am sure that these organizations have the best intentions—they want to see wolves thrive—however, they need to take a step back and consider whether their current strategy ultimately gains acceptance for wolves and other wildlife or merely becomes a “green washing” of actions that maintain the status quo and ultimately never really improves conditions for wolves and other wildlife. When the Profanity Pack killed some cattle on a public lands grazing allotment, these organizations supported the killing of the pack, despite the fact that the rancher involved had placed his cattle on an allotment with a known wolf pack. He even placed salt blocks within a few hundred yards of a wolf den and rendezvous site. In essence, the Profanity Pack was set up to be killed by the agencies managing the land and wolves. But as members of the WAG, these organizations did not object to the killing which they called termed “regrettable” and other adjectives, but which they ultimately supported. As members of the WAG they were silenced from voicing outrage, and even more importantly, condemning the entire situation where private livestock are given priority on public lands. And in this case, where the rancher and public agencies like the Forest Service did not take actions to avoid the conflict. What could have been done differently? Well for one, the Forest Service, the agency managing these lands could have closed the allotment temporarily to grazing to preclude interactions between wolves and livestock. Better yet it could have removed the cattle entirely. But without a united voice from wolf advocates, the agency allowed this tragic and almost inevitable conflict to occur. This gets to the heart of the issue. Which animals should have priority on public lands? The public’s wildlife or domestic livestock being grazed as a private use of public resources for private profit? The conservation groups that are part of the WAG cannot change the paradigm. The reason is simple. Collaborations like the WAG start with certain assumptions—that domestic livestock has a priority on public lands—and if you don’t agree with that starting premise, you are not welcome on the collaboration. It is no different than timber collaborations where the starting assumption is that our forests are “unhealthy” and “need” to be “managed” (read logged) to be “fixed”. If you disagree with that starting assumption, there is no welcome for you in forest collaborations. This gets to the issue of strategy. As long as the assumption is that private livestock has priority on public lands, nothing will change. Wolves will continue to be shot unnecessarily. But it goes further than whether wolves are shot. Domestic livestock are consuming the same forage as native wildlife like elk. On many grazing allotments, the bulk of all available forage is allotted to domestic livestock, thereby reducing the carrying capacity for wild ungulates (like elk) which are prey for predators like wolves. In addition, there are a number of studies that demonstrate that once you move domestic cattle on to an allotment, the native wildlife like elk abandons the area. This means wolves must travel farther to find food, exposing them to more potentially greater mortality from hunters, car accidents, and so on. The groups joining the Washington WAG defend their participation by saying ranching on public lands is not going away, so the best way to influence wolf policy is to participate in these collaborative efforts. The problem is that this legitimizes the idea that ranching and livestock have a priority on public lands. Keep in mind that grazing on public lands is a privilege. It is not a “right” despite the fact that the livestock industry tries to obscure the truth by referring to “grazing rights”. If we are ever going to change the situation for wolves and other predators, not to mention other wildlife from elk to bison, we need to challenge the starting assumptions that livestock have a “right” to graze on our public lands. Imagine for a minute what the Civil Rights movement would have accomplished if its leaders had joined a collaborative with the KKK and folks who were intent on maintaining the status quo in the South. Under such a paradigm nothing much would change. Sure they could have made the same rationale that today’s conservation groups make when they argue that public lands livestock grazing is not going away—and I’m sure many people involved in the Civil Rights movement assumed that segregation would never end either. But some brave souls did not accept the starting assumptions. They refused to give up their seats at the front of the bus or at lunch counters. They demanded that all citizens had a right to vote without polling taxes and other measures designed to disenfranchise black voters. The failure of conservation organizations to avoid questioning the presumed “right” of livestock operations to exploit the public’s land means we will never really change the circumstances under which predators live. While any organizations that continue to support public lands grazing might defend their decision by suggesting that changing the paradigm is too difficult, I respond by saying as long as they never challenge anything, nothing will change. Thank you for your article and your position on this. I have always believed that the wolves should not be killed for what comes naturally to them and ranchers should not be allowed carte blanche on public lands. I am angry and will contact my representatives, but not sure how much good it will do.